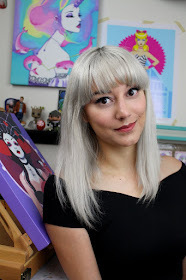 I have some wonderful & exciting news! I am going to be teaching on Life Book 2017 (http://leilanijoy.com/lifebook) next year! I can't wait to collaborate with this amazing team of creative educators and help you guys create your very own Lifebook! 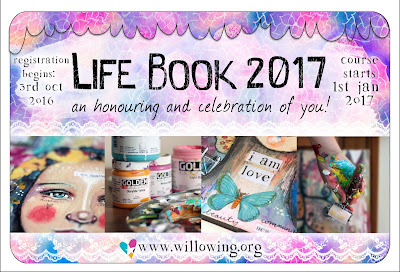 “Life Book, is a celebration and honoring of YOU” it's a year-long mixed media art class organized by Tamara Laporte from Willowing Arts. treasure for the rest of your life! There is absolutly know previous art experience or training required and it's completely open to all ages. You can find out a lot more about the Life Book (and FYI- it has been joined by over 12,500+ people in the past!) by checking out my link (http://leilanijoy.com/lifebook). With the Life Book, I will be teaching two classes that I'm very excited about! One entitled, “Style Self Discovery” where I will guide you through rediscovering your early artistic influences and helping you discover an artistic style that's unique to you! Then I'll also be teaching a BONUS lesson that I'm calling the “The Cut Paper Protection Goddess” This lesson will focus on conquering your inner insecurities and self doubt while creating a gorgeous one of a kind Protection Goddess from a collection of cut paper collage elements that I'll be providing you to work with! Official Registration for the Life Book opens on October 3rd 2016 and the classes begins on January 1st 2017. So if you want to start the year with a fabulous creative BANG and spend 2017 with a wonderful creative community of like-minded souls, learning more about art and how to be kinder and more loving towards yourself, be sure to join once registration opens! :) Keep this page (leilanijoy.com/Lifebook) bookmarked so that you can sign up the moment it goes on sale!